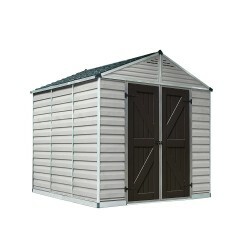 Shop Palram brand sheds for a single walled, lower costing plastic storage shed. 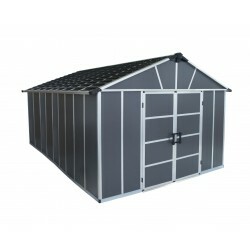 Palram offers great looking styles and sizes to meet your gardening and tool storage needs. Free Shipping on all orders! 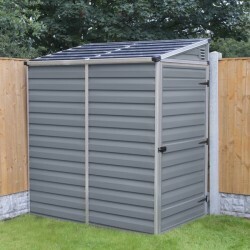 Looking for a perfect shed that will not just give you the storage space that you need but will last for a long period of time? This Skylight Shed from Palram is the one for you. It is best for storing and organizing your stuff and is maintenance free and will not become fragile over time. On Sale Now! FREE Fast Shipping! 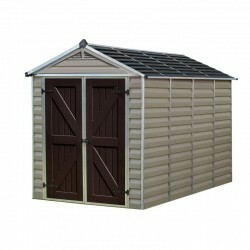 This Pent Shed can be installed as a lean-to shed or a standalone unit; it will complement your home and enhance your outdoor living space.FREE Fast Shipping! 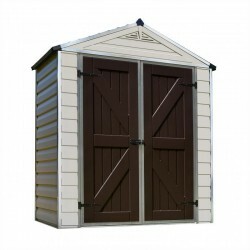 The Yukon 11x9 shed is perfect for storing, organizing, and protecting your outdoor gear. FREE Fast Shipping! 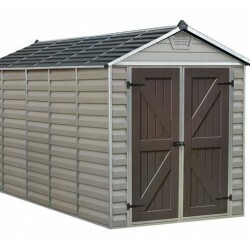 The Yukon 11x12 shed is perfect for storing, organizing, and protecting your outdoor gear.FREE Fast Shipping! 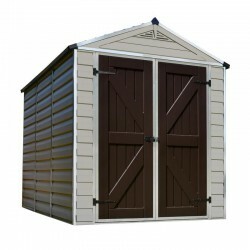 The Yukon shed is perfect for storing, organizing, and protecting your outdoor gear.FREE Fast Shipping!